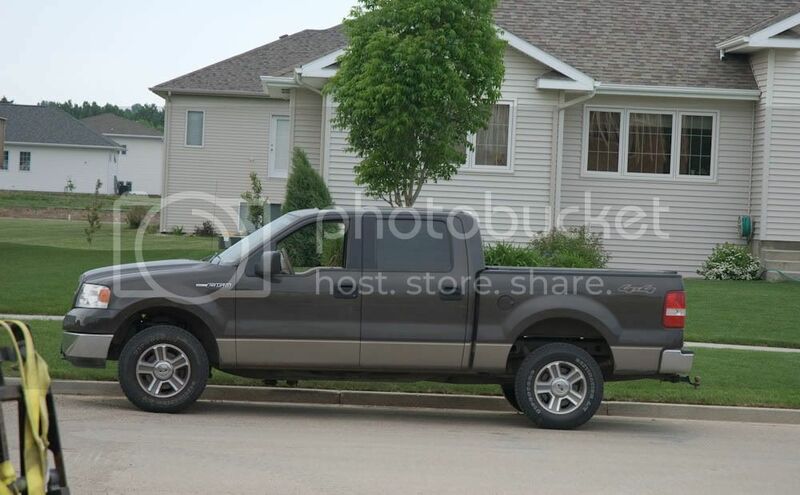 Ford F150 Forums - Ford F-Series Truck Community. - Wheels?? Well got alittle bonus coming my way, so yes tires are going to happen when I get back from Idaho snowmobiling. Not a fan of all crome wheels, not much for keeping them clean enough, to look good. Im still on the fence about rims really, but my stockers have seen better days. Ill be running a 33inch tire. Im lost on backspacing but both of these have 5.51" and the stockers I read somewhere have 5.76" of backspacing? Stock wheels have 5.5" backspacing. I'm not sure about those wheels on your truck either though. Ya im not sure either, can't find any pictures really of dark stone with rims, I know chrome would look alright just not really a fan of it. If you can get me a good side shot of your truck I can photoshop some different wheels on there for you. Is there maybe some rims with graphite/gunmetal inserts instead of black? Kind of like your stock wheels? Yea, those stock ones look good on there, but if you want new ones did you look at Jegs or Tirerack? If they have them one either of those sites you can "see them on your vehicle". I'll get to it here in just a bit. 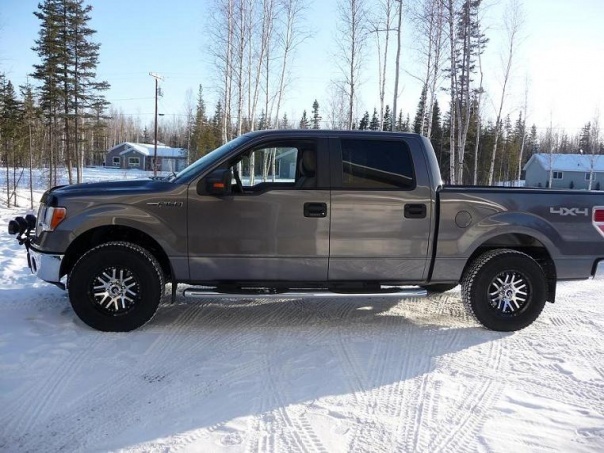 Haven't had a chance to do it yet, but while looking for those wheels on a vehicle I found them on a new f150 in a similar color with larger tires. They look better then I thought they would.